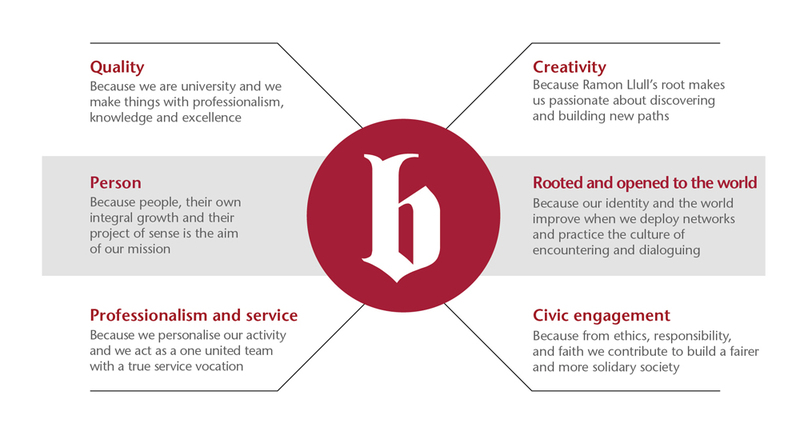 Blanquerna, as a plural university community, is inspired by the principles of the Christian humanism. It has the mission to provide an integral education in order to allow individuals to become competent professionals, with a wide sense of ethics and compromised with social transformation. Thus, being able to create knowledge focused on justice and the common good. To be recognised in both a national and international level, as well as for its own particular and innovative educational style. Moreover, for the excellent formation of professionals with a high employment rate, as well as a strong social commitment. Finally, for the impact their research has on the society.